England fast bowler Liam Plunkett will join Melbourne Stars in Australia's Big Bash League this winter after Lancashire leg-spinner Matt Parkinson was ruled out with a back injury. Parkinson, 22, was already out of the ongoing England Lions tour of the UAE due to a stress fracture in his back. Further scans have revealed he is not yet ready to return to training. Plunkett, 33, will instead play in the second half of the Twenty20 tournament, which starts on 19 December. The Surrey bowler, who is part of England's limited-overs sides, is set to replace Sandeep Lamichhane when the Nepalese leg-spinner goes to play in the Bangladesh Premier League. 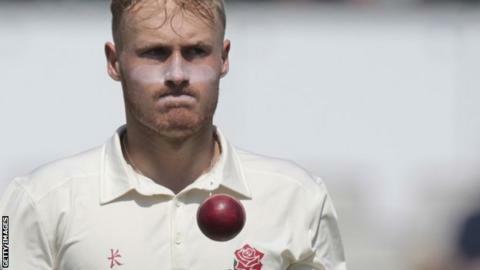 "I'm determined to get fully fit over the next couple of months," said Parkinson, who took 59 wickets for Lancashire in all formats in 2018. Parkinson will have further scans and be assessed again in January.